Should Your Next Replacement Windows be Bow Windows? Brock Doors & Windows Ltd. Should Your Next Replacement Windows be Bow Windows? Buying windows can be fun, but it can also be overwhelming since there are so many types of windows available. So you might be in for a surprise when the time comes for you to head out and look for replacement windows in Richmond Hill, ON. You can always get some expert recommendations during a consultation with a replacement window company. One window type that you’ll probably notice is the bow window. These types of windows are quite popular. If you’re not sure about what they are or what they’re for, read on for a brief look. Bow Windows: What are They? A bow window, also known as a compass window, is basically a curved window. These windows are designed to project beyond the exterior of the residence, and they can provide a more comprehensive view of whatever is outside the window whether it’s the backyard, the front of the house, or something else. A bow window usually consists of at least four casement windows. They are joined in such a way as to create an arch. Bow Windows: How Do They Work? Because a bow window is made up of multiple casement windows to form an elegant curve, they can really improve the aesthetics and ambiance of any room. This means it would be equally great in a bedroom, living room, den, or anywhere else in your home where you’d like to make the room bigger or provide a compelling view of what’s outside the window. Bow Windows: What are the Advantages? Bow windows offer energy efficiency benefits. For instance, you can take advantage of low-E glass, sealed units constructed with standard S class super spacer, Fusion-welded sashes, head and set options that include insulated and non-insulated, and more. If the views outside of your home are wonders to behold, then you can make the view all the more captivating with bow windows. Bow Windows: Are They for Your Home? If you’re looking for replacement windows for your home, then it makes sense to consider a bow window. It’s the sort of window that will add curb appeal to your residence. It should be noted that they cost more than many other types of windows, so you might pick and choose where you put bow windows in your home. 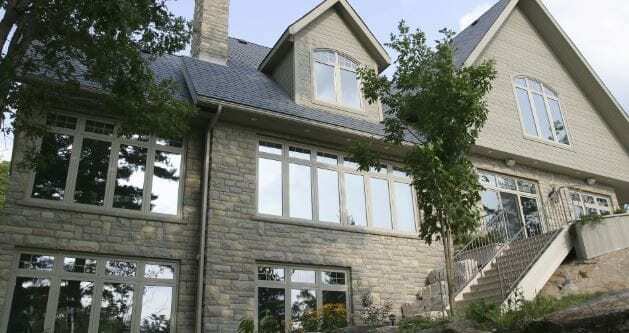 Brock Doors and Windows Ltd., your provider of replacement windows in Richmond Hill, ON, has a wide selection for you to choose from. And, yes, we have bow windows if that’s what you’re looking for. We offer quality products at competitive prices, so you don’t have to go anywhere else to get what you want. When you purchase our products, you’ll only need to make this important investment once. We’re so confident in our windows and doors that we back them with a transferable, limited lifetime warranty. Come visit us in Etobicoke. You can find our office at 486 Evans Ave Unit 11 Etobicoke, ON M8W 2T7. Feel free to stop by, look at some replacement windows, and talk to one of our staff members. You can also call us at (416) 255-9133 for the help you need.